Our distinctly styled Bettina Range Hoods cannot be copied or duplicated by any other metal-smithing professional in the industry. 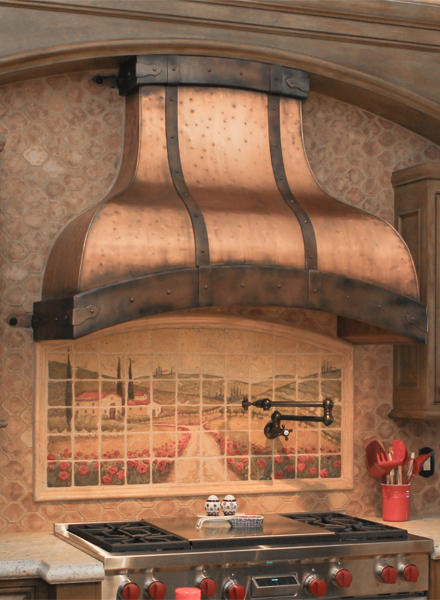 The unique, warm rustic matte finish paired with the distressed body texture is the work of our father-son team here at Art of Range Hoods. 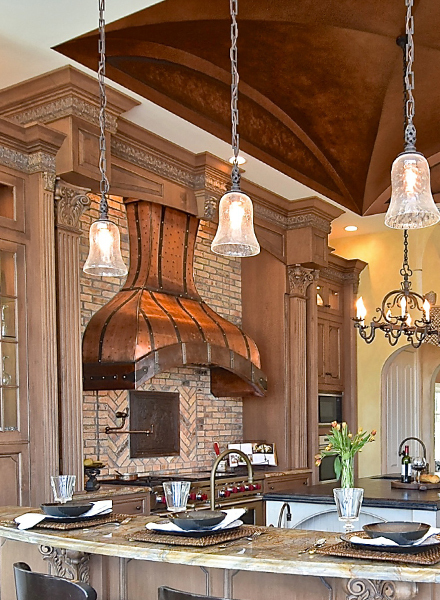 You truly won’t find anything like this luxury range hood on the market. Each of our Bettina Range Hoods (Standard, Tall, Wide) are crafted in the USA at our Washington State location using only 100% American virgin copper that is lead free. You can feel good about your purchase knowing it has minimal impact on the environment. If you’re ready to customize and purchase one of our Bettina Range Hoods, give us a call during our regular business hours at 360-891-6540. 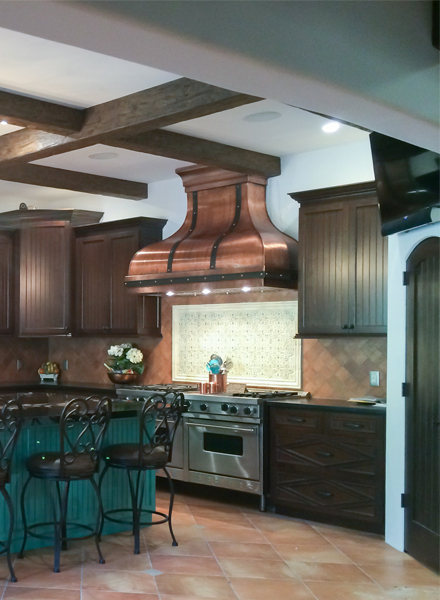 We are happy to walk you through the process and get you on your way to owning your own range hood.